After completing an ethnographic study on the subject, Carlsberg Sweden commissioned Ipsos Sweden and research company, MRC, to examine and quantify the effectiveness of POS materials using eye tracking data. 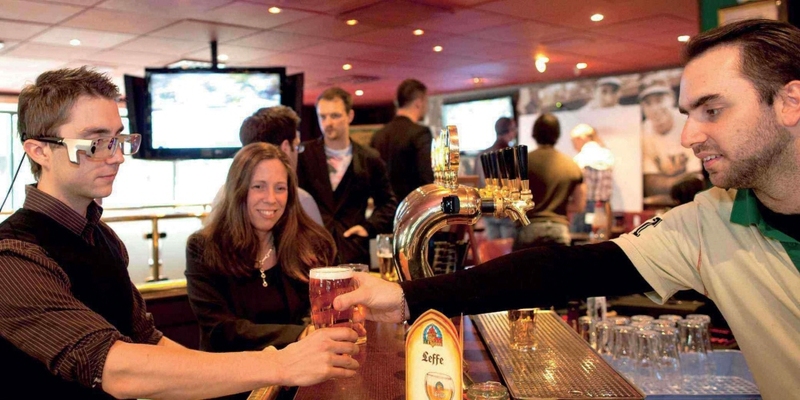 At Carlsberg, we pride ourselves on being able to understand consumers’ likes and behaviors. Eye tracking has allowed us to take this to the next level. A total of 250 respondents participated in the study across three different locations in Stockholm. The research team decided to use a wearable eye tracking system from Tobii Pro to measure exactly what drinks buyers are drawn to given the variety of stimuli surrounding them in a pub. or brand they planned to order. They were then asked to purchase something to drink while wearing Tobii Pro Glasses 1 to record their eye movements. A follow-up interview was carried out with each participant after the eye tracking session. Researchers analyzed where buyers looked, who changed their mind, and linked eye tracking data with what the respondents actually ordered. The study provided quantitative proof of data Carlsberg already knew, but there were also new findings in the Ipsos Sweden eye tracking sessions. The company has chosen not to reveal precisely which POS material works better than others. However, Carlsberg has implemented the results and feels confident this will positively affect their sales as a result. By tracking a potential customer’s point of gaze, we were able to measure aspects of the decision-making process in a way that has never been done before.